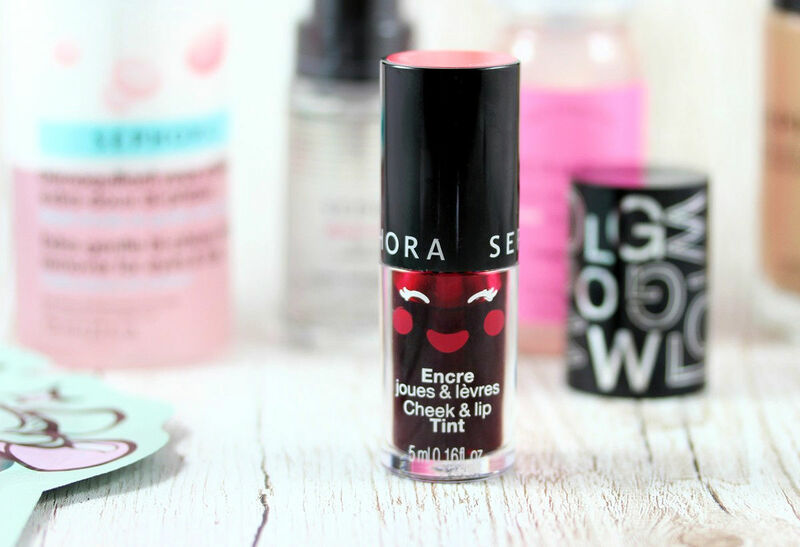 Many many new products have landed at Sephora Switzerland and I'm super excited to show you some of them! Ready? 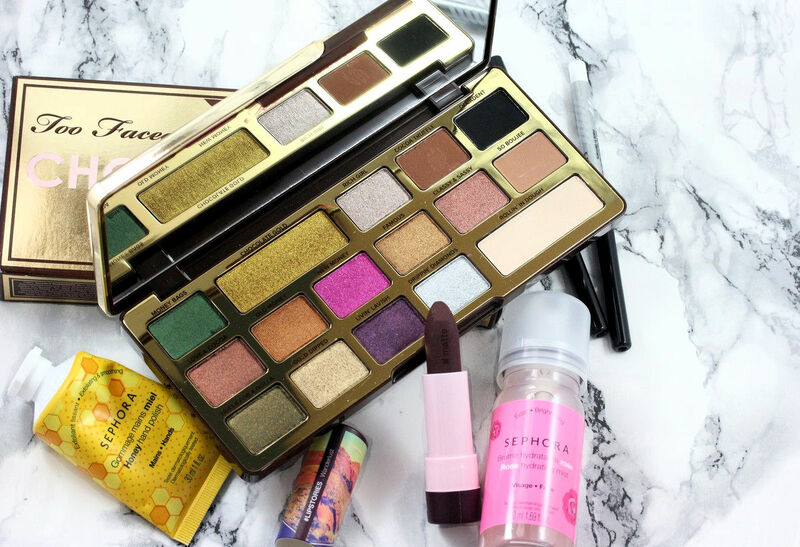 So I'll start to show you the products from Sephora own brand that I bought or received and then I'll show you some K-beauty news and something else from Too Faced. 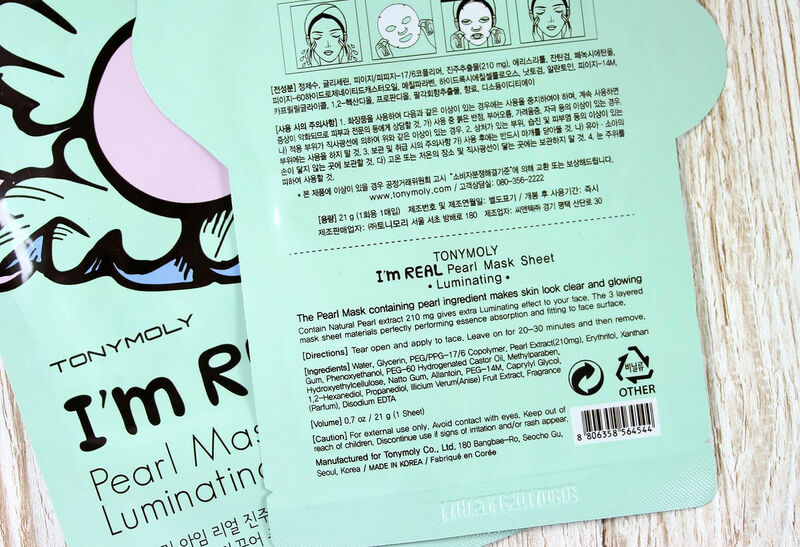 You know I'm a sheet mask aficionado and I can never have enough of them :D But I'm also quite picky when it comes to sheet masks! 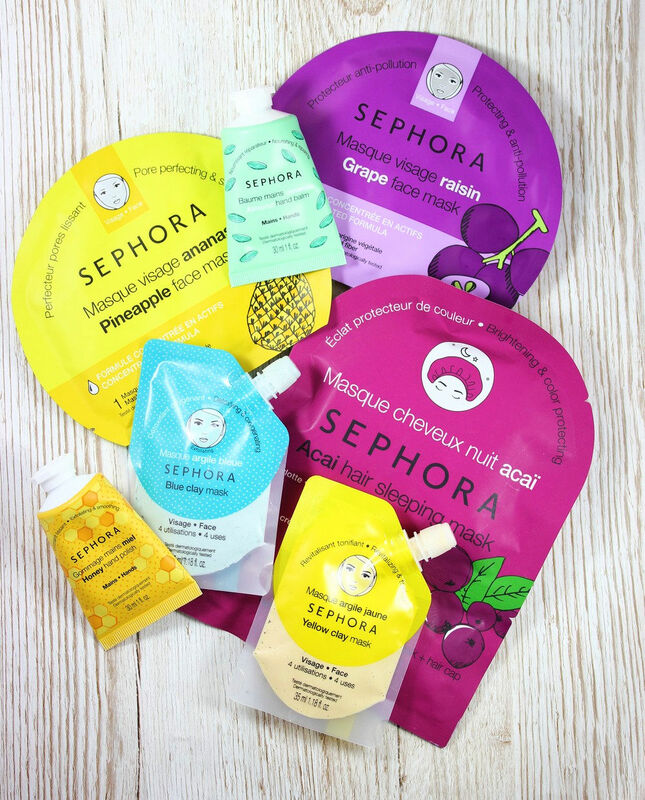 Sephora has just launched new "flavors" of masks in pineapple, grape, lychee, pomegranate, coconut, aloe vera as face masks and eye patches. I haven't tried the eye patches but the face masks are rather great. 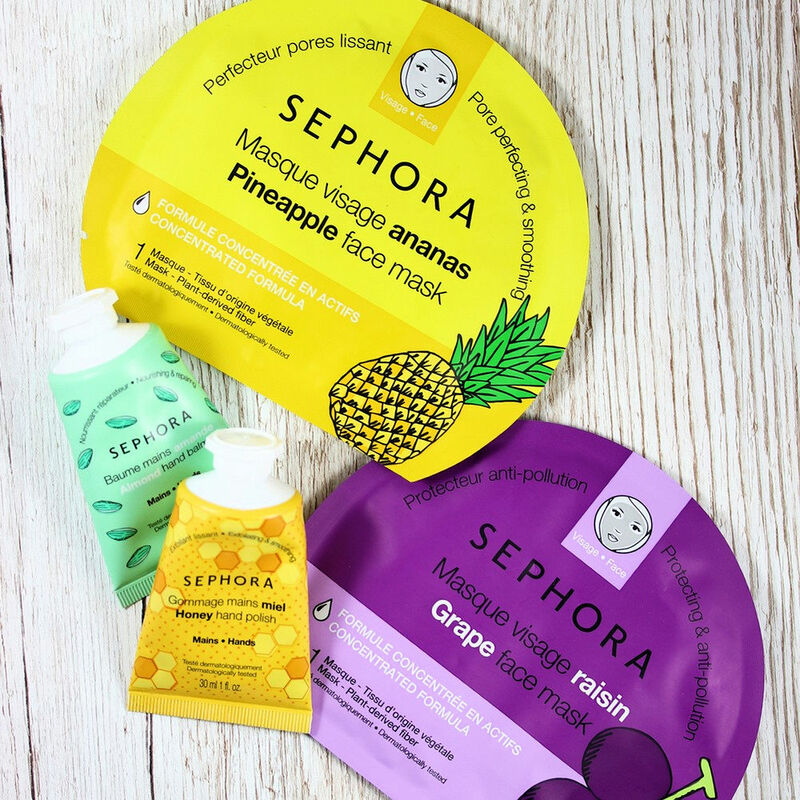 Concerning the 2 I have here (grape and pineapple) both contain some humectants and soothing agents (glycerin, butylene glycol, betaine) as main ingredients, the grape version contains also a good amount of aloe juice but grape and pineapple extracts come after fragrance...that said, I still enjoy these masks as they feel good on and leave the skin nicely hydrated. 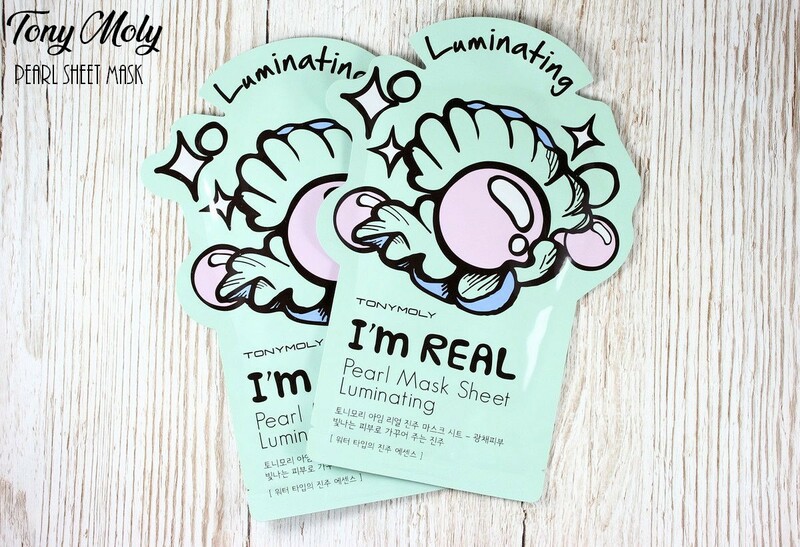 I think they are good sheet masks in that sense that they hydrate the skin deeply (you don't feel dry 5-10min after removing them), the material is soft and thin and they're soaked in essence (the mask doesn't fall off the face easily). They're scented but the scent is on the subtle side and it's actually quite pleasant. There is no alcohol in them. 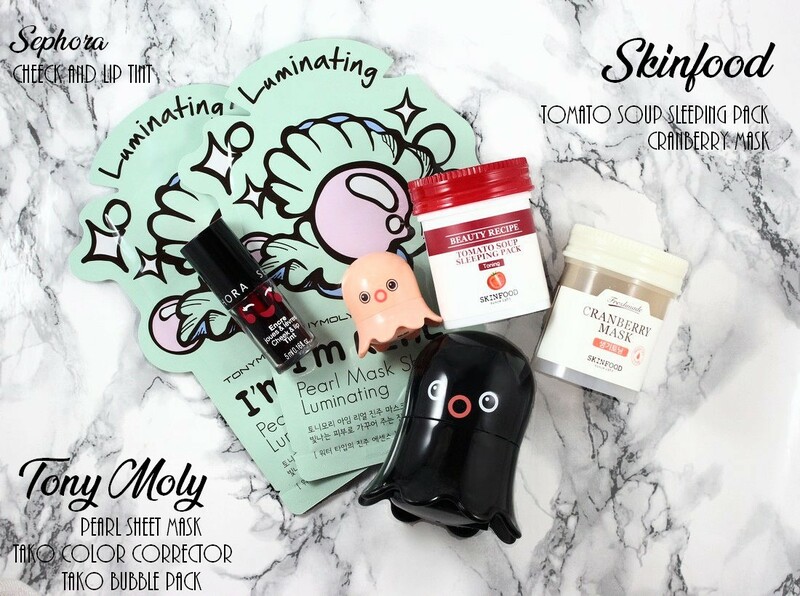 Honestly, these are masks I would recommend! 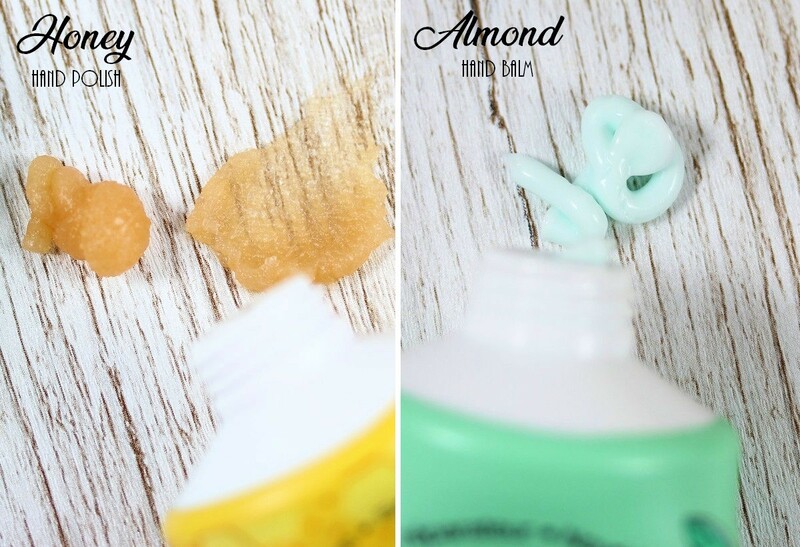 The clay masks are not new but I also featured them here :D they're not the most special in terms of ingredients but they work well and the blue one contains exfoliating particles if you want physical exfoliating and pore care at the same time. Then we have the hand balms and a hand polish which are a brand new line of products. 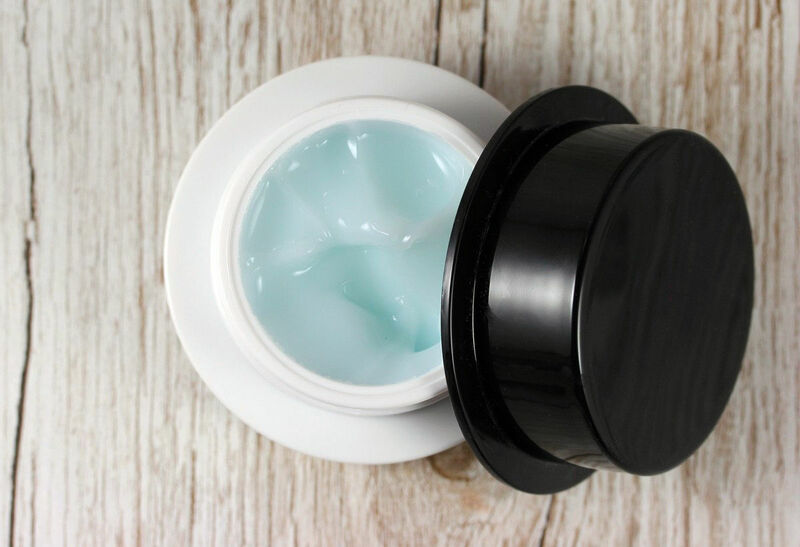 I've tried the almond balm and I'm hooked. I LOVE the almond scent, it's delicious :p I also think it's a good moisturizer and importantly it doesn't leave the hands sticky. 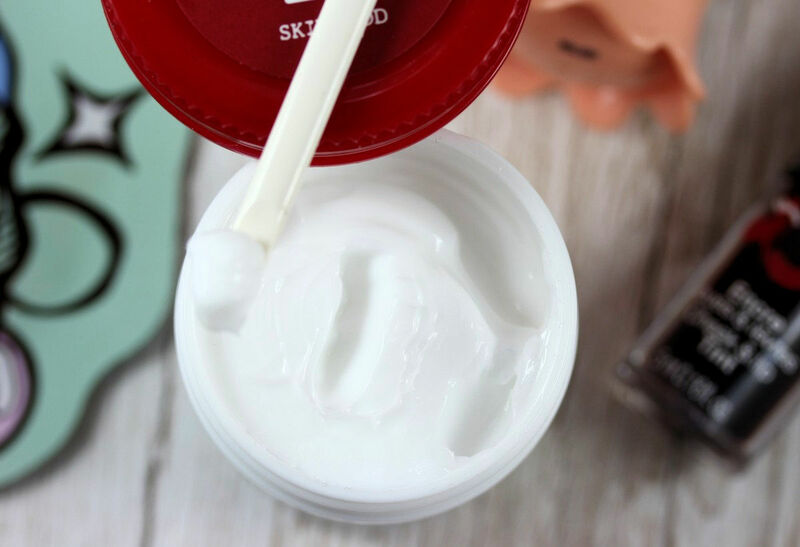 This is the perfect hand cream to take on the go! I might need to get another flavor to try soon! The hand polish is a hand scrub that I also find really good. 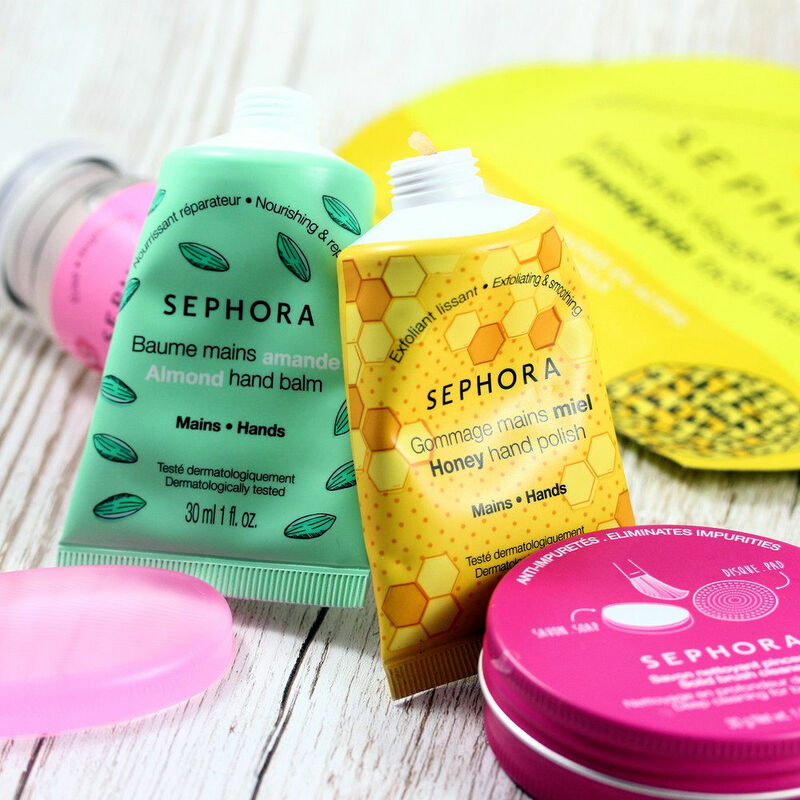 Overall these new hand balms are products that I would gladly repurchase! I also wanted to mention the Moisturizing Gelées. 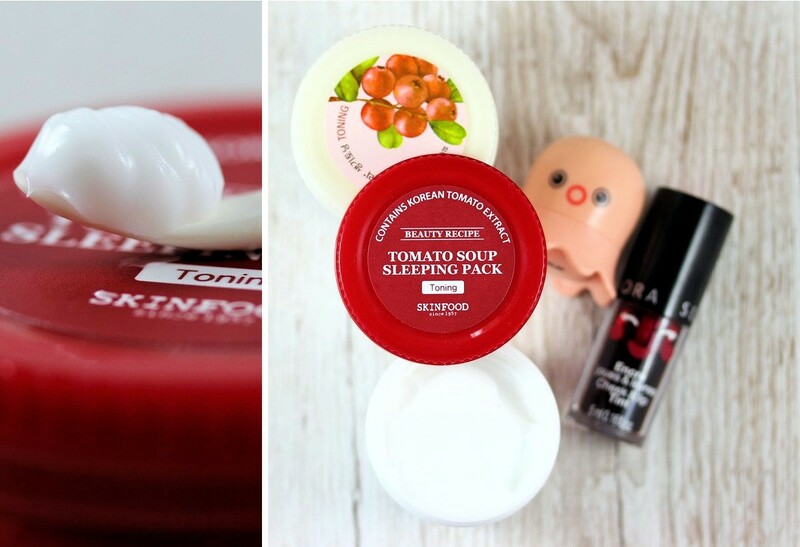 I haven't bought any because I realdy have too many open moisturizers but I think they're really interesting especially for people with oily skin or if you prefer light textures! 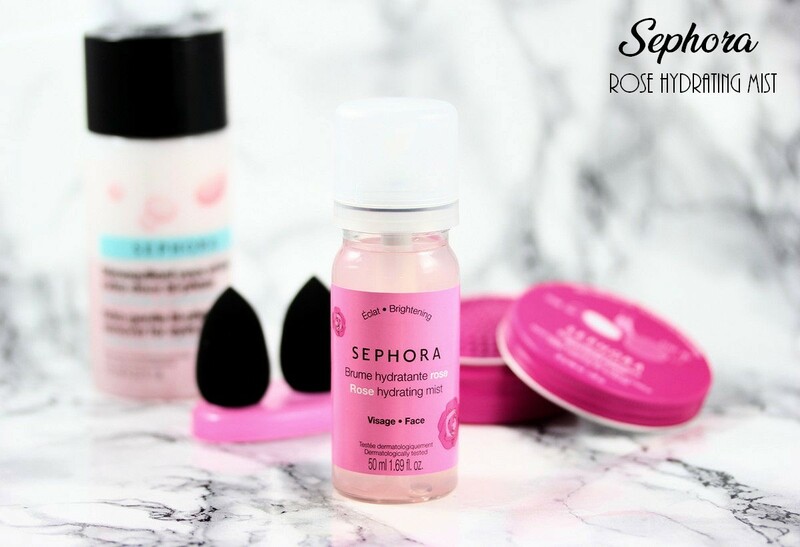 The rose hydrating mist is another item that I really enjoy. Why? 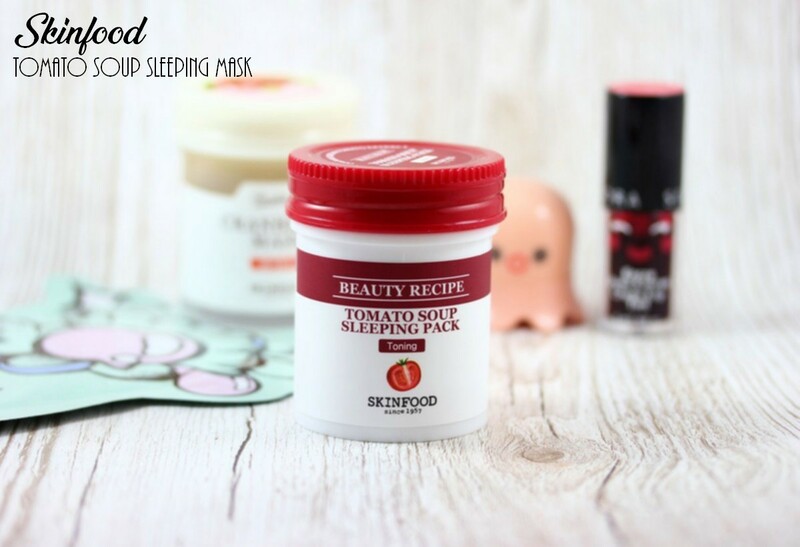 because I think the ingredients are pretty good especially if you like fermented products (yep, fermented products are super popular, especially in K-beauty, they're often soothing and help reduce redness for example). I'm not doing a full review here otherwise it will be a crazy huge post, but shortly it contains black tea ferment as the 3rd ingredient and rose extracts but not in a very high amount. It has a subtle rose scent which is pleasant. The mist is also rather fine which is practical if you want to use it throughout the day. 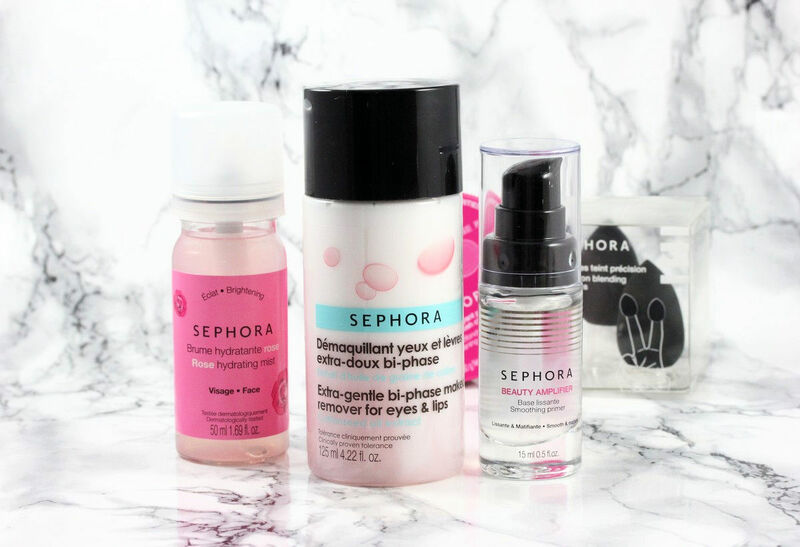 Extra-gentle bi-phase make-up remover for eyes & lips: I've just started using it and I must say I'm pretty impressed because it's indeed a very gentle makeup remover but it's able to remove eyeliner, mascara and of course eye shadows very easily, you don't need to rub your eyes like crazy, everything is gone super easily. 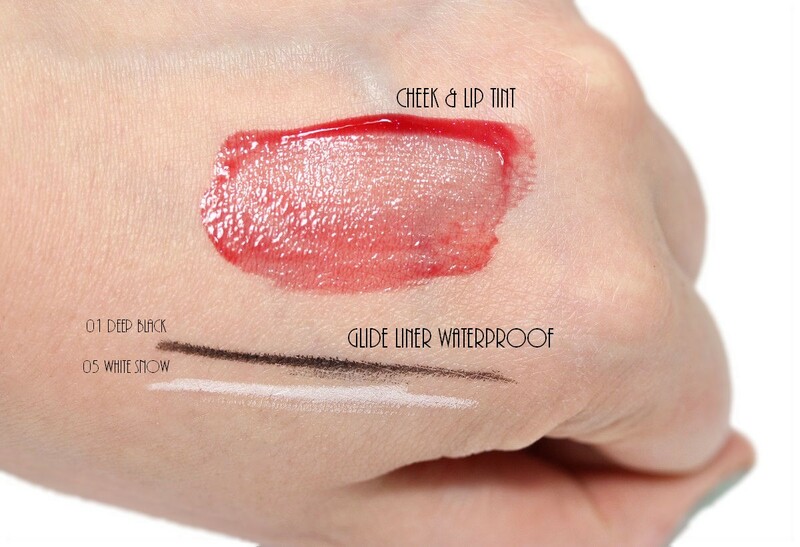 It's a milky liquid (very liquidy emulsion) that doesn't irritate the eyes, I'm really impressed! 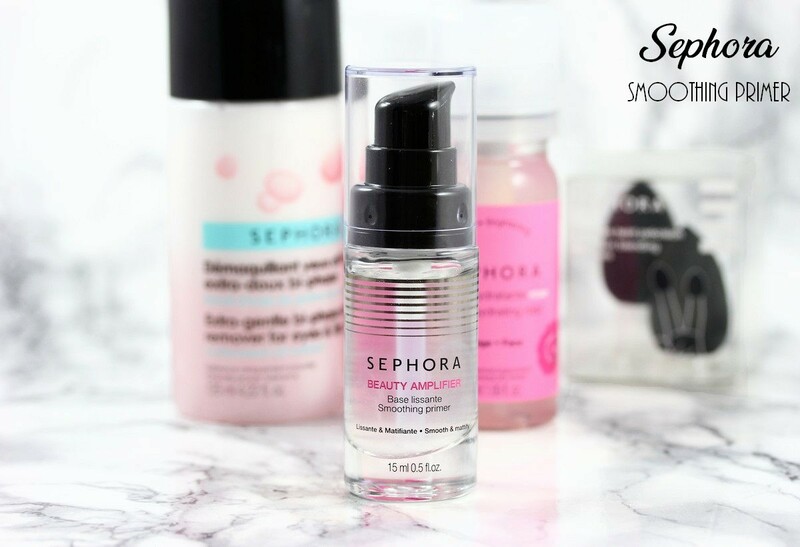 Beauty amplifier smoothing primer. OK looking at it, I didn't expect much but again, that's a product that I like. It's actually a mattifying primer. Ingredient list is super short: cyclopentosiloxane, dimethicone, crosspolymer, phenoxyethanol. So yep, it's a smoothing primer but I think it feels rather nice on, it immediately smoothes the skin and gives a matte finish. It feels completely lightweight and doesn't pill or act weirdly. That's maybe not my all time favorite primer (I still haven't find my holy grail primer by the way) but that's a good mattifying primer in my opinon and it's worth giving it a try - I've actually been using it almost everyday since a couple of weeks (switching between it and Clinique Pep-start Hydroblur moisturizer/primer when I need more moisture). Then an item that I thought would be a total gadget but in fact not at all, it works great, better than expected. It's the precision blending sponges. 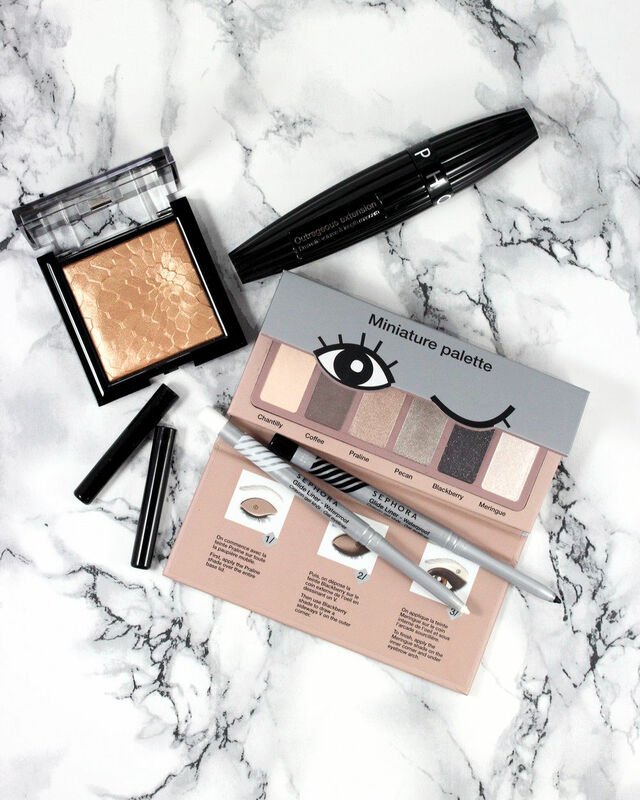 They're perfect if you like applying and blending your concealer with your fingers. 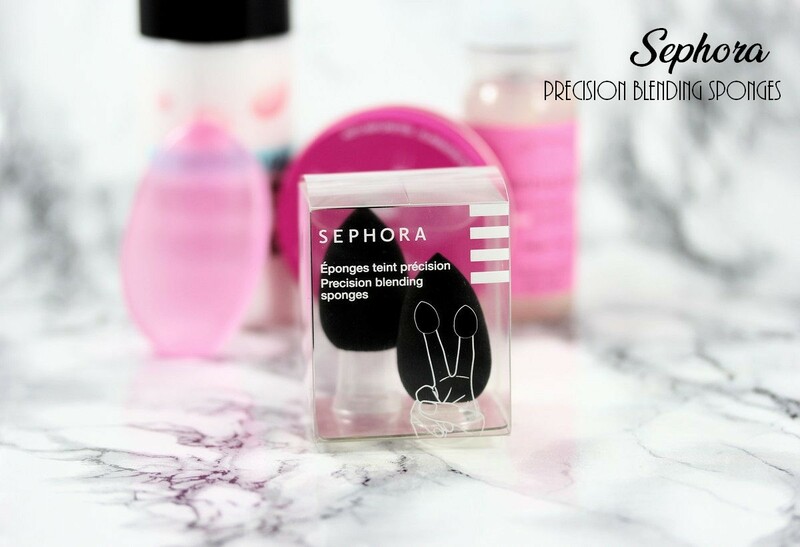 I personally always use a brush but I think these mini beauty blenders work so well to apply concealer, it works even better than with my beloved Zoeva concealer brush! I'm convinced! On the contrary the silicone sponge...mmm...I'm not a fan. It just doesn't work for me! 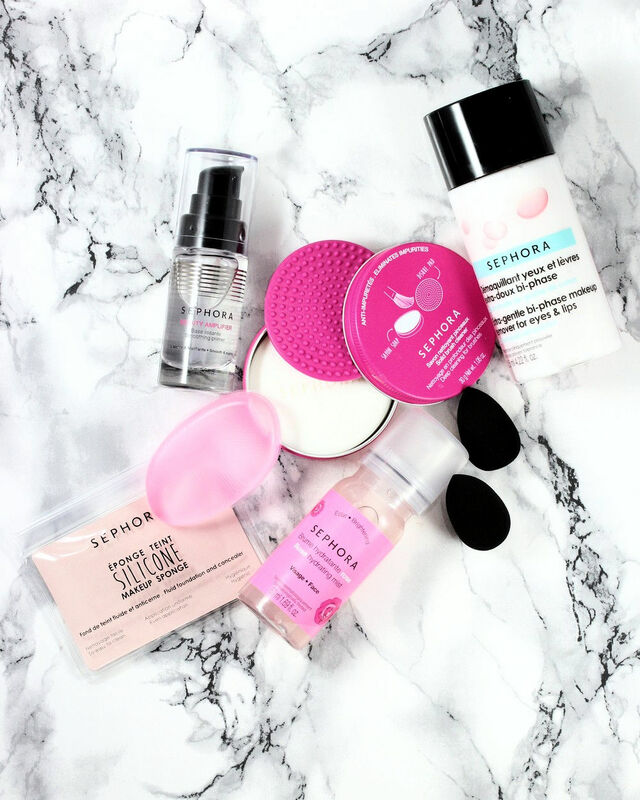 The solid brush cleanser is such a good idea and I've already heard so many good things about it! It's very practical to clean eyeshadow brushes and it works very well! As a bonus the soap as the most devine scent ever! However for larger brushes (like blush or foundation brushes) it's a bit more difficult to use because typically the size of the brush is almost the size of the mat but that's OK, it still works. 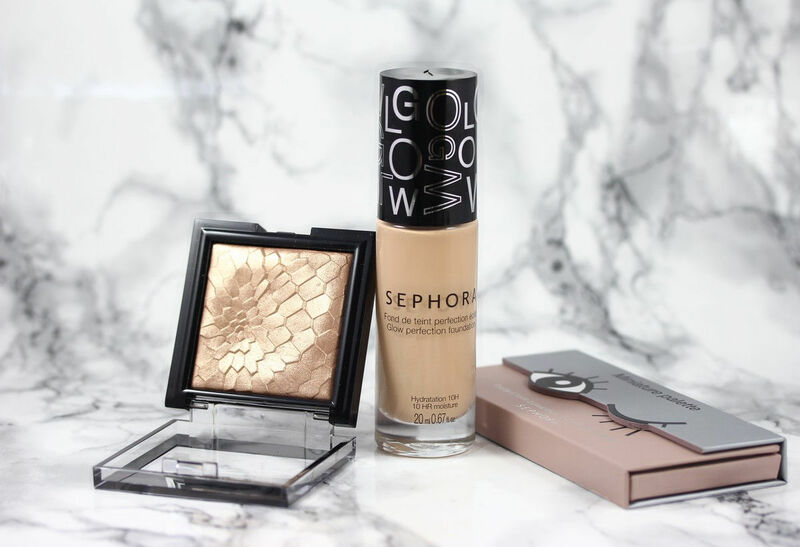 I have "natural glow 02" and I think this is a pretty "universal" color, it can work for cool or warm tones and for a large range of skin color. 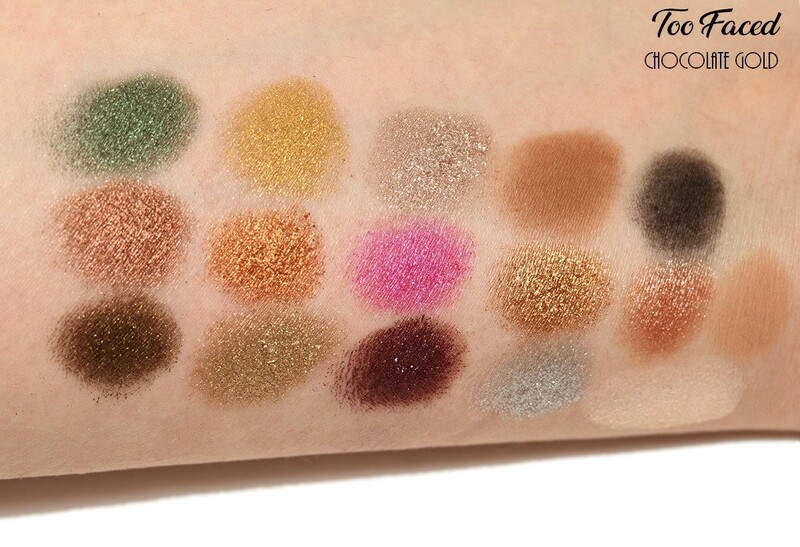 The mini palette looks cute and the shadows are super creamy and blend super easily without too much fall out so the quality is there, but I'm not super fan of the colors. 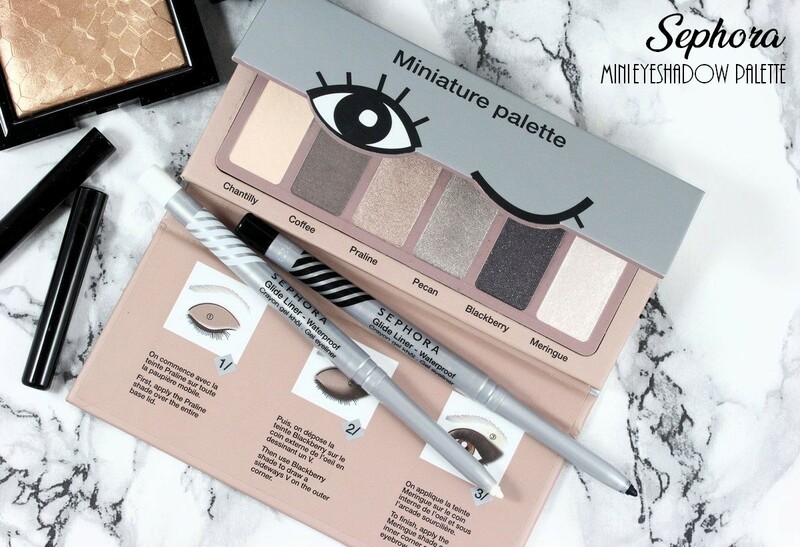 The palette is also available in pink and warm brown so if you like the colors, go for it. 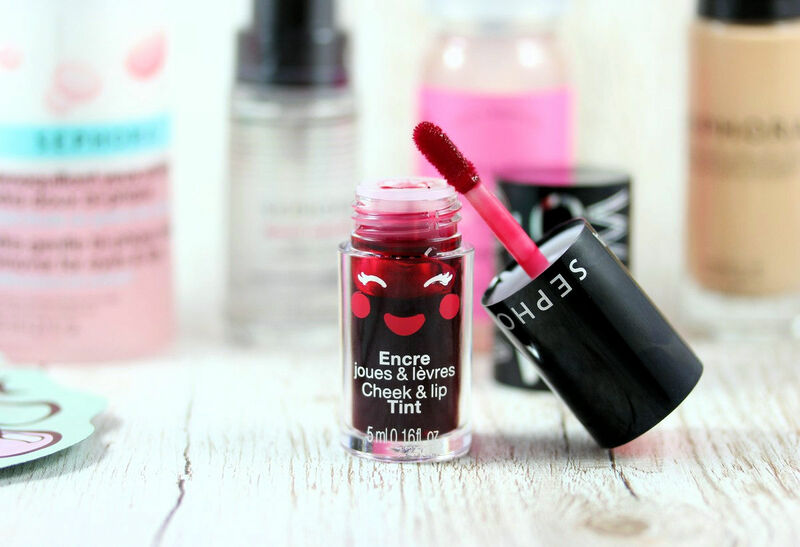 More lip products with the cute cheek & lip tint by Sephora. It gives a wash of color so good if you want something subtle. I was expecting something more pigmented but it's actually very light and natural. It stains the lips but in a very subtle way. It feels slightly drying but not much. 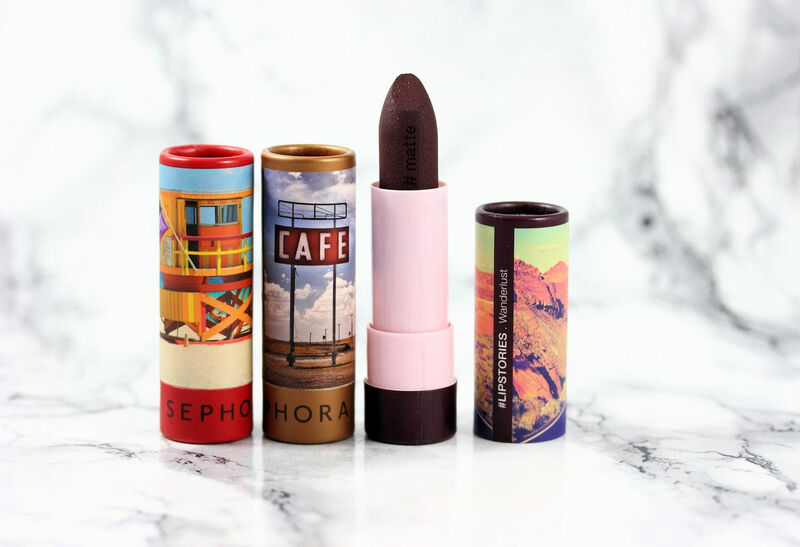 Sephora has also just launched a new line of lipsticks, the lip stories with creamy, matte and metallic finishes. 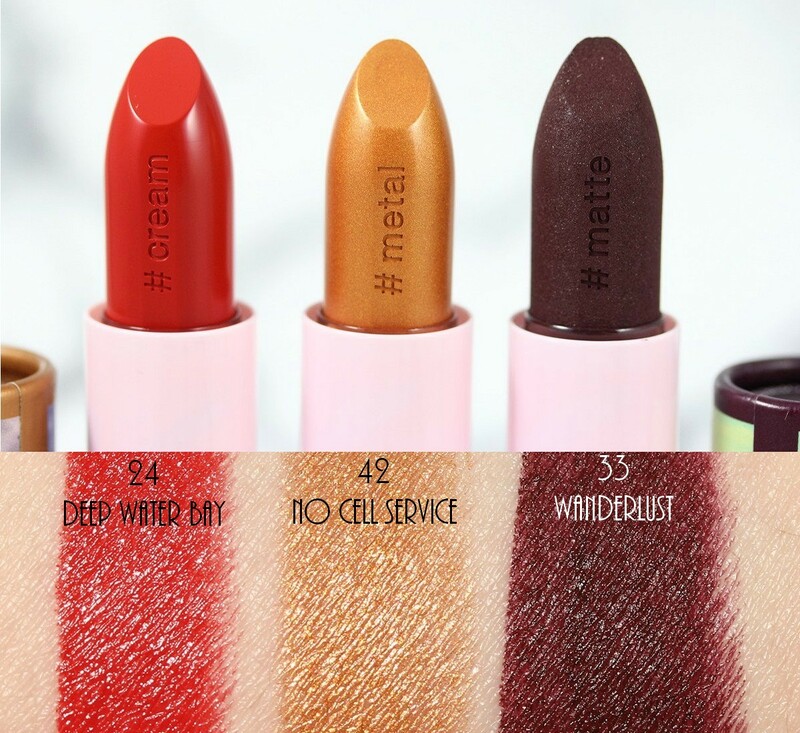 The 3 I've tried are creamy (even the matte one) and feel comfortable. 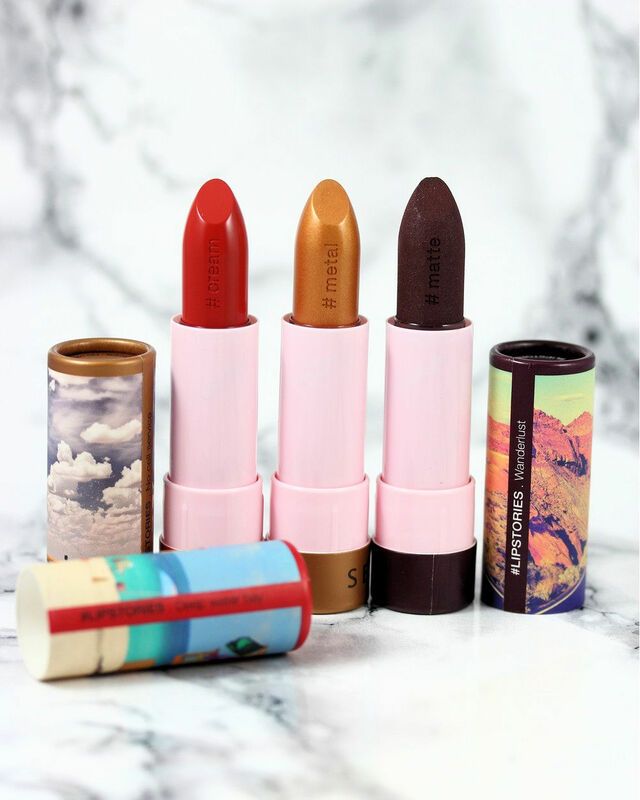 I like them even though at the moment, I wear liquid lipsticks (matte or glossy) more often. 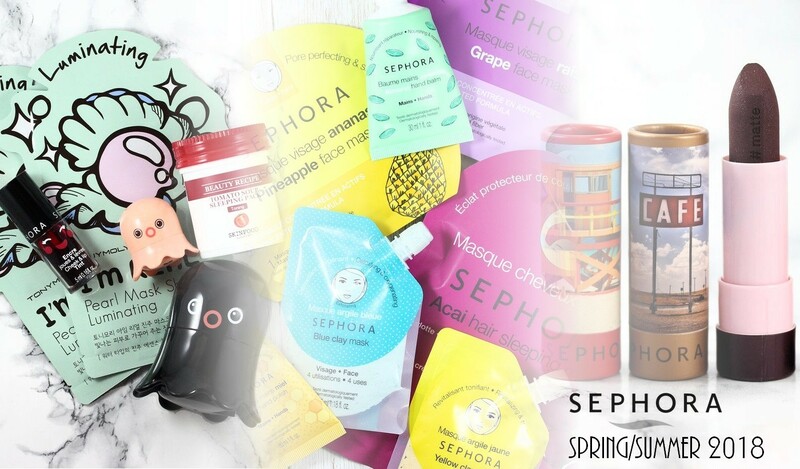 And that's it for the new Sephora products!! Now let's go into the K-beauty section of Sephora. 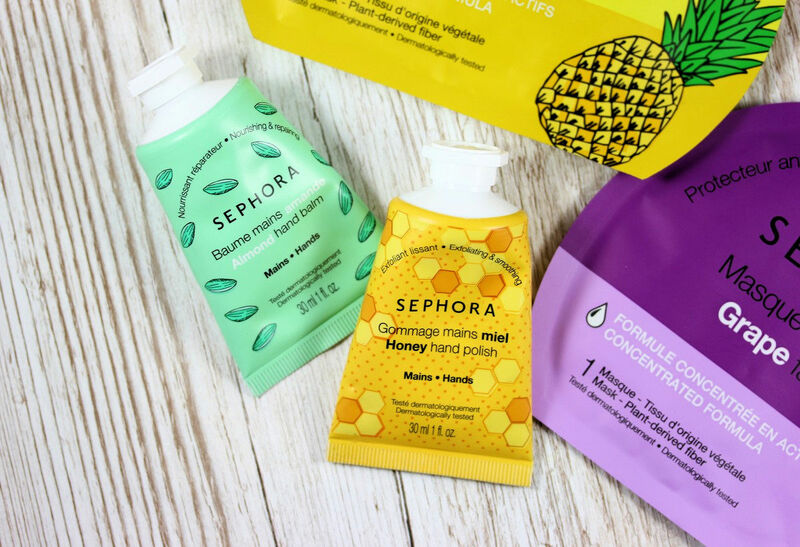 There are plenty of new brands (belif, the oozoo, etc) and new products, such as the splash mask of Skinfood, their yuja wash-off mask. 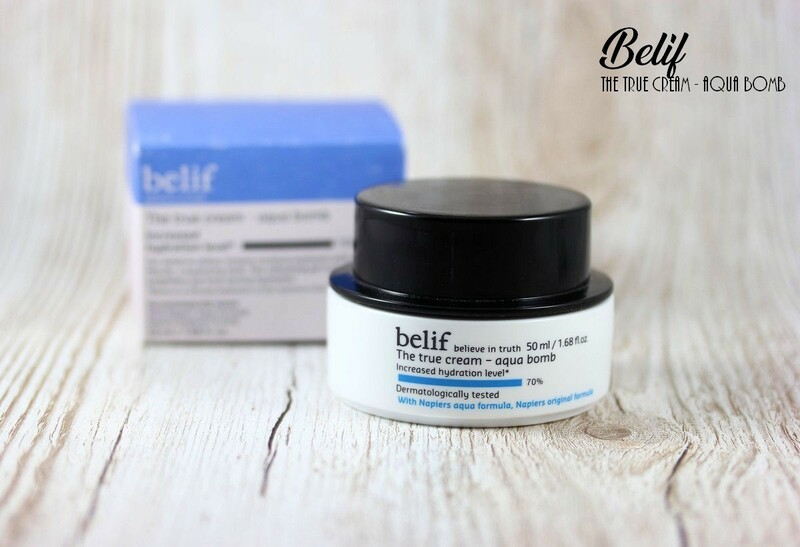 I'm just posting some pictures here of belif the true cream - aqua bomb and Skinfood tomato soup sleeping mask but I'll do separate reviews for them otherwise this article will be way too long! So stay tuned for more info about these products! 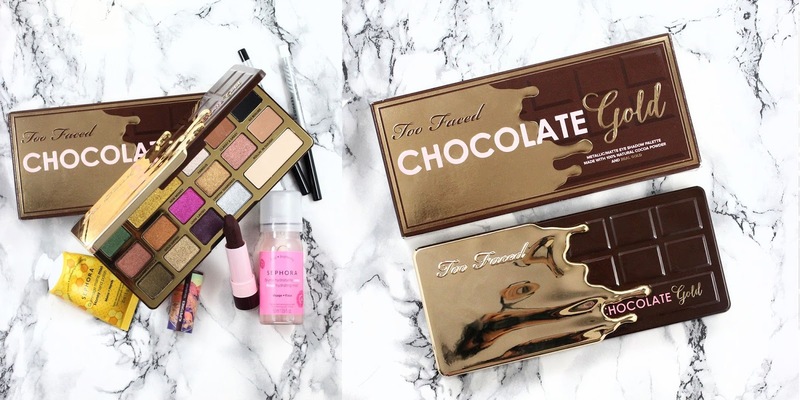 And last item for today is....Too Faced Chocolate Gold palette which is to die for! 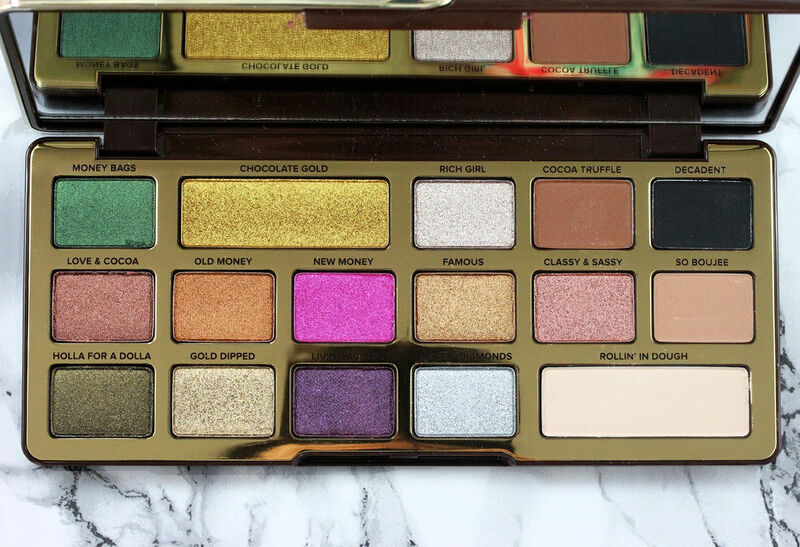 It's such a gorgeous palette, the colors are beautiful, the quality is amazing, in short it's a must-have palette in my opinion! 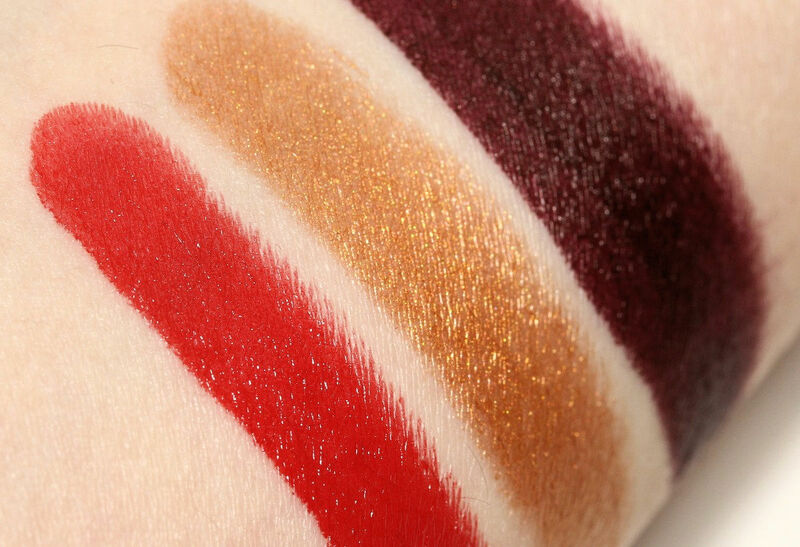 The shadows are buttery soft, super easy to blend and pigmented and the finish of the metallic shades is so bright and radiant. 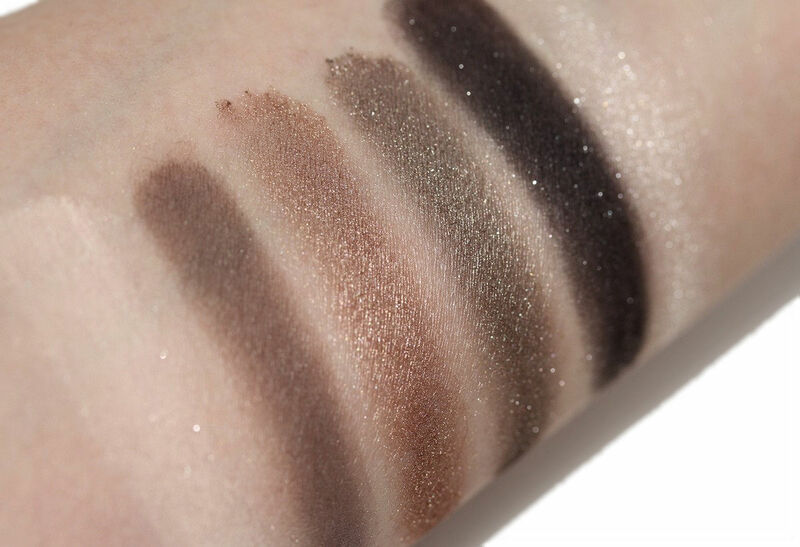 I also like that it's not a warm toned palette but it's more a neutral one, it works for both warm and cool tones in my opinion.